Enjoy the changing of season and get your creativity flowing with some fabulous finds in our latest arrivals of craft books. Find out about perfect weekend craft projects that require little or no specialist skills, including quilting, beadwork and crochet projects, as well as, knitting stylish hats and beanies to accessorise and express your own style. And, if you enjoy vintage craft, you will find lots of ideas and inspiration how to inject character and charm into your home using unique vintage pieces! Fantastical hats & beanies / Jenny Occleshaw. Hip crochet / Natalie Clegg. Quilting on the go! / Jessica Alexandrakis. The artful parent : simple ways to fill your family’s life with art and creativity / Jean Van’t Hul. Pearl Lowe’s vintage craft : craft projects & styling advice for the modern vintage home. Vintage home : stylish ideas and over 50 handmade projects from furniture to decorating / Sarah Moore ; photography by Debi Treloar. Lace, ribbons and bows : 35 vintage-inspired projects to make and treasure / Ann Brownfield and Jane Cassini. The complete guide to wire & beaded jewellery : over 50 beautiful projects and variations using wire and beads / Linda Jones. Metallic seed bead splendor / Nancy Zellers. Create your own jewellery : over 100 inspiring ways to make stunning pieces from all kinds of materials, with practical step-by-step projects / edited by Ann Kay. Yet another debarcle with the knitting (first the hat was to small and now it is too big). I have decided to go back to stiching for a spell. At least if I get something wrong I can just add more stitches! Beautiful botanicals : 45 appliqué flowers & 14 quilt projects / Deborah Kemball. The knitted home : hand-knitted projects room by room / Sian Brown ; [photography by Tim Clinch]. This is a beautiful book of 30 knitted and crocheted projects for the home. It uses a variety of wools, silk, cotton and bamboo to make tactile and inviting, effortlessly stylish pieces. Knitting with Peruvian yarns : 25 soft sweaters and accessories in alpaca, llama, merino and silk / Jane Ellison. Oilcloth inspirations / Sophie Bester ; with photographs by Fabrice Besse. Don’t knit up your brows. Are you new to knitting? The Chicks with sticks guide to knittingby Nancy Queen and Mary-Ellen O’Connell is aimed at the novice knitter. Inside you’ll find 30 simple patterns combined with step-by-step instructions so even a first timer can finish a project in a few hours. Impress your friends with your new skills! Finding knitting patterns in larger sizes can be difficult. Sharon Bant has filled this gap with her book Knitting goes large. Have a browse and discover 20 patterns that will suit all occasions and all seasons. 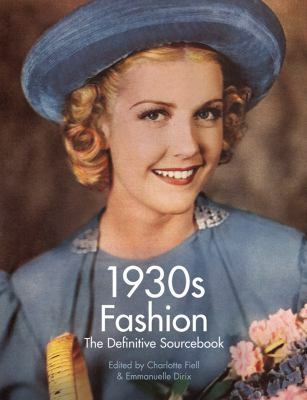 Kay Connors’ and Karen Earlywine’s collection of nine authentic 1930’s patterns are made using reproduction fabrics. Their beautifully presented book, Link to the 30’s, will show you how to create an heirloom to be passed onto future generations. See something that catches your eye? Have a browse through theses titles and more across topics that include vintage knitwear, handmade books, crochet and canvas work via this month’s Craft Recent Picks.